The historical short story is something I’ve not attempted before. But for All Over Ireland, Faber’s latest annual collection of Irish short stories, I found myself, untypically, looking to the past. I’ve always seen the short story as an escape from history, a great and welcome dip into familiar contemporaneity, an attempt to write and be in the here and now, as opposed to the terrain of my novels which is historical. However, my contribution to All Over Ireland, is a story set during the Second World War in Ireland. It’s titled Emergency, as the war was euphemistically called here because, as a neutral country, we were not technically at war. It’s about a mother and daughter who are literally landed with a German parachutist and what they do with him. It was sparked by a chance remark on the TV show Antiques Roadshow – I know, don’t ask – from a woman who brought along a piece of a German parachute as her prized item. But as I wrote it, I remembered a brilliant and hilarious short story by Aidan Mathews – The Story Of The German Parachutist Who Landed 42 Years Later from his collection, Adventures in a Bathyscope.(1988). As with a lot of Aidan’s work, there was a delicious surrealism in his tale of a suburban Dublin family’s life disturbed by an alien visitor from history. For my story, I played it straight; I couldn’t match Aidan’s quicksilvery wit. But though it is set in the past, I hope Emergency has the immediacy and urgency of the short story form, and that it feels to the reader – as it should for the characters – as if it’s happening right now. 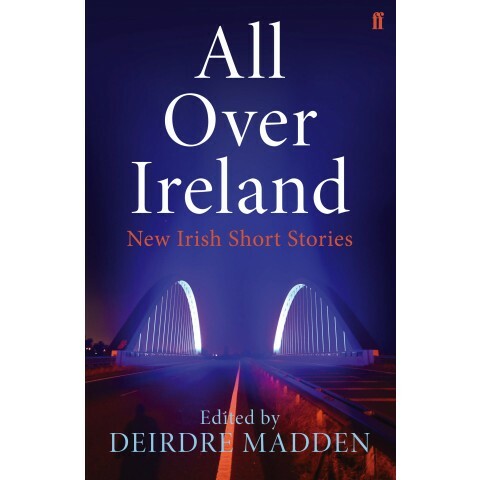 All Over Ireland will be published on May 21.